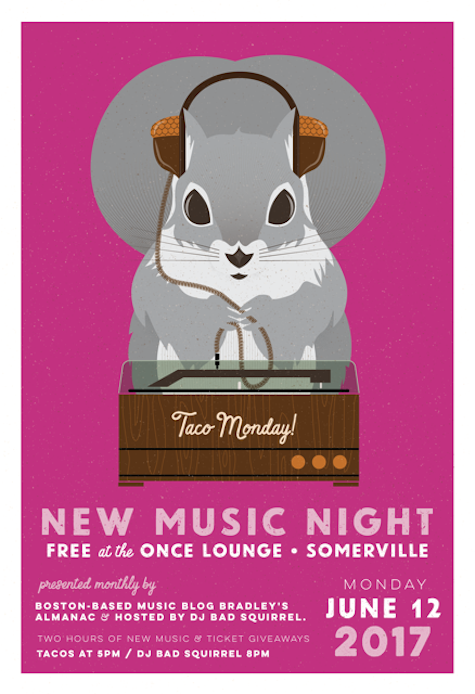 Let the record show that the following list of carefully-compiled new selections were spun last Monday at the June 2017 edition of NEW MUSIC NIGHT at the ONCE Lounge in Somerville, Massachusetts. Two hours of new music, locavore tacos, & ticket giveaways (last week’s winners got tix to see Ride, Land of Talk, Palehound, Now Now, & more). Select songs are available to stream below, but for more new music, head to Soundcloud for my oft-updated monthly ‘Nac tracks compilations.